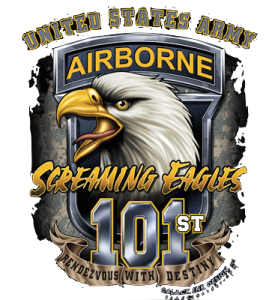 The 101st Airborne is one of The United States Armies most decorated Military Units. The 101st AB is an elite Army division that was formed in the later part of WW1. The 101st AB fought with valor on D Day, they parachuted behind the beach fortifications and engaged/destroyed targets and captured and held strategic points. The 101st AB stood up to and turned the tide against Hitler at the Battle of the Bulge in Bastogne, Belgium. The Unit has also been the subject of other Films and Television, The Longest Day, Battle of the Bulge, Saving Private Ryan, and Band of Brothers – just to name a few. “The mission of the Marine Corps rifle squad is to locate, close with and destroy the enemy by fire and maneuver and/ or repel enemy assault by fire and close combat.” During World War II, the battalion participated in the Battle of Guadalcanal, Battle of Tarawa, Battle of Saipan, Battle of Tinian and the Battle of Okinawa. These Battles were some of the toughest fighting in World War 2, and are part of the history and legacy of The United States Marine Corps since 1775. The Marine operation in Helmand, AFG, during the Filming of The Hornet’s Nest is the largest Marine Operation since the Vietnam War. Mike Boettcher has a history with this Unit; he was embedded with several of the Marines Fathers when they were Marines in Beirut in 1983 when the 1/8 Marine barracks was blown up. Motto “Not for self, but for country”. The “Rakkasans” deployed to the pacific in mid-1944 with the 11th Airborne Division and saw combat service in New Guinea, Leyte and Luzon. 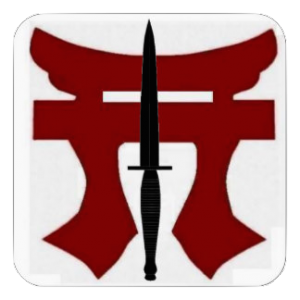 Following a number of storied missions throughout the pacific arena, when the war ended the 187th, as part of the 11th Airborne Division, was chosen to spearhead the occupation of Japan. The Rakkasans have been involved in heavy fighting during the Iraq Gulf War and the Afghanistan War and is redeploying to Afghanistan in 2014 to be one of the last Units to leave the Country during it turnover to the Afghanistan Military. The Rakkasans have also been the subject of many Films and Television. Hamburger Hill, We were Soldiers, Battle in the Pacific.